1. Click the question mark-sign at the top right of any Facebook page. 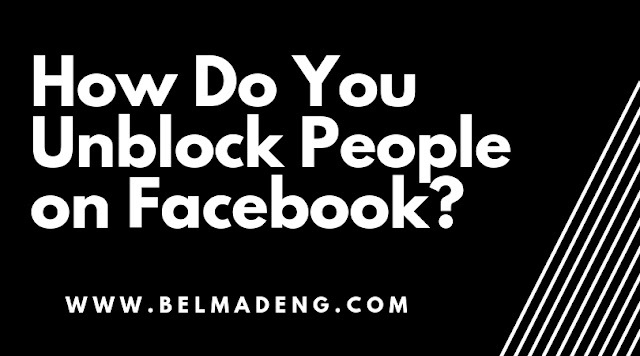 Before you proceed on Facebook, bear in mind that your Facebook friends will not be notified when you block them. If you can't find someone using the above method, try going to the person's profile, click the three-dotted icon at the bottom left of their cover photo, and then select Block from the drop-down menu. When you unblock someone, that person will be able to see your posts on Facebook that you share with the public. However, the person won't automatically become your friend on Facebook. If you want to become friends with a person who you've unblocked, you'll need to send them a friend request. 4. Under the block users section, enter the name of the person you wish to unblock and then click unblock that is next to their names.